Imagine has served as SKIL’s full-service, integrated marketing agency – handling everything from branding and positioning to packaging, print advertising, merchandising, product line reviews. SKIL needed to reposition its line of power tools to better compete within the mass merchant environment. This required a complete update of the brand messaging, a fresh approach to the packaging structure and graphic design, and new collateral and advertising. Imagine helped SKIL to define the brand strategy, driving new messaging to communicate the brand advantages to a redefined target audience. Our branding expertise was then employed to create the new brand standards. Our expertise enabled us to define new packaging structures that could be produced efficiently by suppliers in Asia and North America, and would be embraced by big box merchants. New packaging graphics were then designed, along with exciting and effective retail merchandising vehicles. 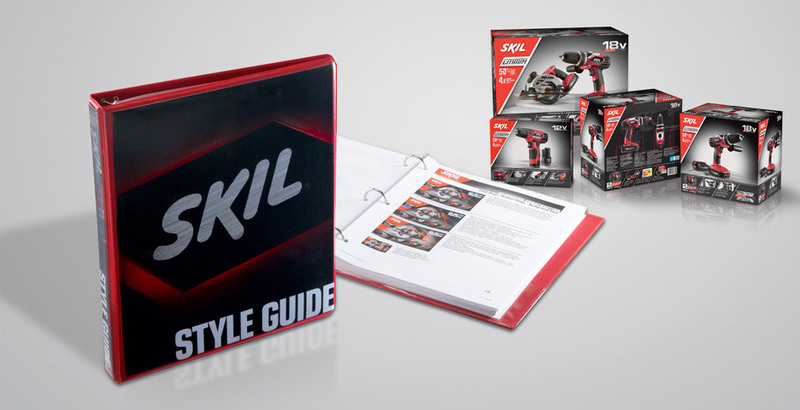 Imagine produced the SKIL Brand Standards Manual, establishing guidelines for all packaging, merchandising, advertising, promotions, and other executions of the brand. In addition, Imagine developed sales presentations and line reviews for major customers like The Home Depot, Lowe’s, Wal-Mart, True Value, Ace Hardware, and more, further enhancing SKIL’s position on the selling floor.